We have been hearing a lot about the importance of an organization’s culture in today’s day and age, but I have to tell you: Culture is hard. As a CEO, one of my main jobs is to guard, nurture and be thoughtful about our company’s culture, but I am constantly facing obstacles and putting out fires that prevent me from focusing on doing so. A culture that is left to evolve organically is unlikely to be the culture that lays the foundation for everyone to achieve shared objectives. Engaged employees are the lifeblood of a company. They are passionate about what they do and present new ideas for accomplishing the shared company mission. 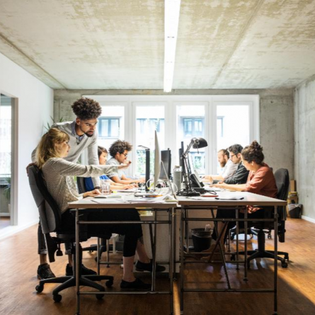 Unfortunately, 66% of the American workforce is made up of employees who are either actively disengaged or not engaged at work, according to Gallup. These employees can destroy productivity in the organization: Gallup once estimated that disengaged workers cost the U.S. between $450 billion to $550 billion in lost productivity. Below are some tips on building a resilient culture that withstands the inevitable challenges a growing business faces, while also being a North Star in times of prosperity. The great UCLA basketball coach John Wooden has been quoted as saying, “The true test of a man’s character is what he does when no one is watching.” The same can be said about a strong culture. Employees operating within a company with a well-defined culture have an expressly defined mission, vision and values that form the framework for how they operate when no one is watching. A coherent belief system contributes to making work meaningful (which is important for team satisfaction). Culture guides every aspect of the business, from the company’s logo to how it hires or runs internal meetings. The lack of a cohesive culture leads employees to invoke their own belief systems. That can create an inconsistent process where employees recreate the wheel and suffer from reduced productivity and satisfaction as a result. Leadership plays an active role in developing and guiding the company’s culture, but a great culture empowers stakeholders to own it at all levels of the organization. From managers and directors all the way up to the CEO, leadership is ubiquitous and can be found at every level of the company. At my company, the leadership team shares the philosophy that our goal as leaders is to empower team members at each level to contribute. The culture of empowerment is a key driver of employees making good decisions on a daily basis, which helps them feel like their work has an impact. The servant leader is humble, puts the needs of others first and helps people reach their potential. In an entrepreneurial company, this can be challenging as people are often asked to wear many hats. To mitigate people running off in all directions, our leadership point of view is one of servant leadership. Our senior team is here to coach, mentor and support. Our job is to make sure our teams have the resources and leadership to affect our on-the-ground strategy with minimal oversight. A great hire can help you achieve great heights, and a poor hire is a cancer within your organization. Applicants need to share the same values as the company. Hiring managers and HR teams are the frontlines in protecting company culture. It takes less time to find a good fit than it does to repair the culture if you don’t. As Antoine de Saint-Exupéry, author of The Little Prince and recipient of the U.S. National Book Award has been quoted as saying, “a goal without a plan is just a wish.” If you want employees to achieve something, first make sure goals and wins are well-defined and communicated broadly companywide. It is difficult to score on moving goalposts, so consistent messaging is important. Planning and communication help make culture a strategic imperative. We celebrate milestones as a team. Our annual celebration of success event is meant to bring everyone together and reinforce our respect for our team. Recognizing and commending wins is important for keeping everyone engaged and excited about getting to the goal, especially if it is several months or even years away. Celebrating successes along the way not only rewards everyone’s hard work but also raises morale, reduces fatigue and makes that beacon in the distance seem a bit closer. Celebrations also help bond a team together and reinforce a collaborative company culture. Failures are a part of growth and innovation. If we aren’t failing, we aren’t trying hard enough. Owning our mistakes helps us strive to not repeat them and to understand how to improve. I find that we learn more from failures than we do from successes, so we constantly review failures and see them as constructive opportunities for improvement. Recognizing failures helps employees to engage, take risks and get excited about the mission without living in fear of keeping their job. Risk is a part of the innovation ecosystem. We take risks in our internal sandbox so our clients and partners don’t have to. We all make assumptions from the outside about how well other businesses are doing. The fact is once you lift the hood on most of these places, you realize we all face the same issues and challenges. Circumstance, luck, hard work and smarts all contribute to a company’s success, but culture is the foundation on which your company is built and can be your greatest sustainable competitive advantage.